The noise from Labour and the Greens on the Basin Reserve flyover is utterly remarkable. For Labour it is grandstanding hypocrisy because when it was in government, Labour endorsed a transport funding packages for Wellington that explicitly included provision for grade separation of roads at the Basin Reserve. For the Greens it is disappointing, as it is a continuation of the hyperbolic hysteria that Sue Kedgley use to peddle, which I thought may have been moderated under the more thoughtful Julie Anne Genter. For both they may want to claim the project is akin to some major urban motorway project of the sort that once activated large groups of "rent-a-mob" leftwing protestors in the UK, but really it is no big deal at all. Furthermore, the absurd claim that Wellington City Council is being bullied because NZTA questions the value of duplicating Mt Victoria Tunnel and associated road improvements towards the airport without the flyover, is astonishingly hypocritical. For I doubt that the Greens endorse any of those projects (and if you believe road capacity improvements are the spawn of the devil, then doubling highway capacity between the city and eastern suburbs ought to be opposed as Sue Kedgley thought at the time). During the Clark Government, Labour released a transport funding package for Wellington, which included money for the new Matangi electric multiple units, replacement signalling, electrical and track infrastructure, replacement trolley buses and to support a range of major road improvements. 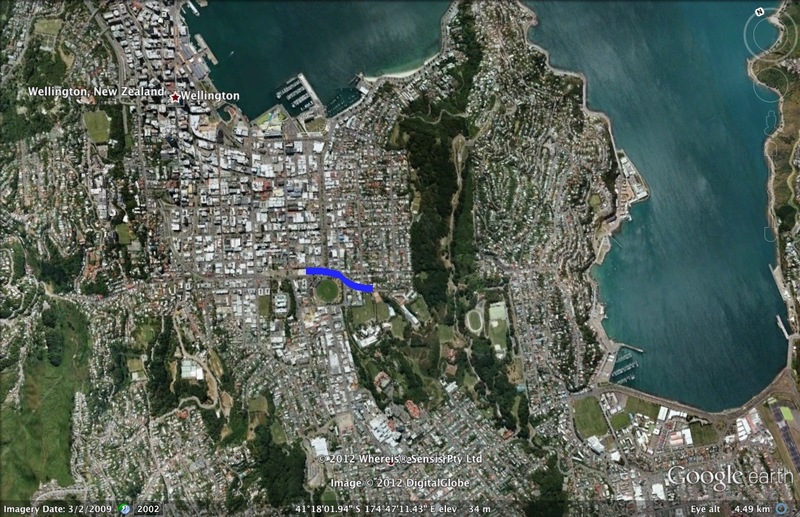 The calculations for this funding including provision for capacity improvements at the Basin Reserve, with the implication clearly made at the time that this is about grade separation. Indeed, it was seen in the Wellington Regional Council's endorsement of "Basin Reserve capacity improvements" as the 4th highest priority in 2005. 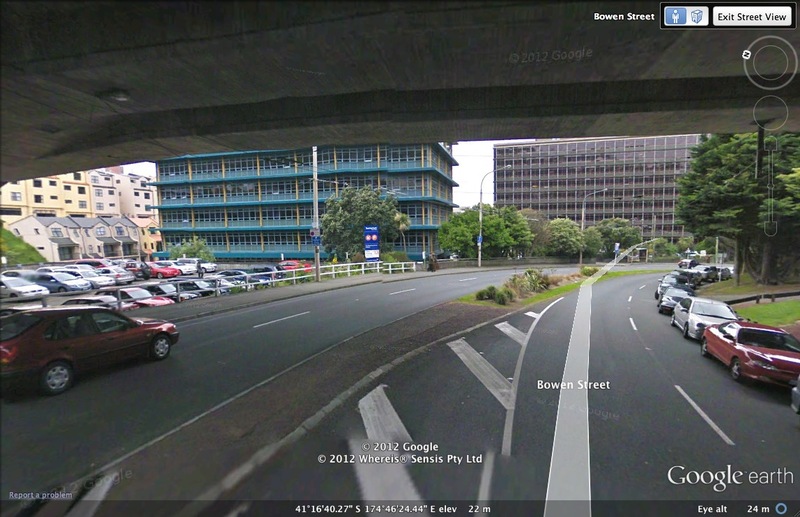 It was the next logical stage after the one-way road and on-ramp that comprised the much maligned "Inner City Bypass" (which simply enabled the one-way system across Te Aro to be shifted a block and a bit south). So Grant Robertson and other Labour politicians jumping on this bandwagon are being hypocrites. Annette King in particular is being disingenuous, because she supports a second Mt Victoria Tunnel, which without the Basin Reserve bridge would simply mean longer queues at the Basin Reserve, as two bottlenecks would be cleared. She didn't utter a peep when Transit/NZTA was investigating this very project when Labour was in power. Sue Kedgley consistently claimed the Wellington Inner City Bypass would be a "multi-lane motorway extension through the heart of Te Aro". It wasn't. 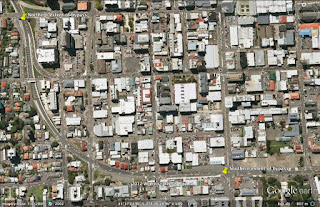 I wonder how many people who went on "path of destruction" tours still think Te Aro's historical heart has been "destroyed". Now the claim is that this project will "destroy the character" of the Basin Reserve, an entirely subjective value judgment, but itself is rather extreme. It will affect it, some may think negatively, but destroy? Really? 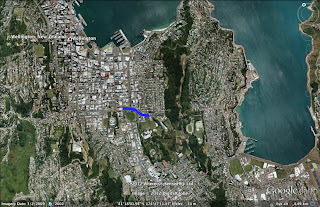 The next claim is "it will affect Wellington's green belt and access to eastern suburb sports facilities and will cost tax- and rate-payers $97 million to move traffic congestion 300 metres"
The green belt is off to the left of the Basin bridge, affected? How will it affect access to eastern suburb sports facilities? Other than improve them for those leaving the eastern suburbs. 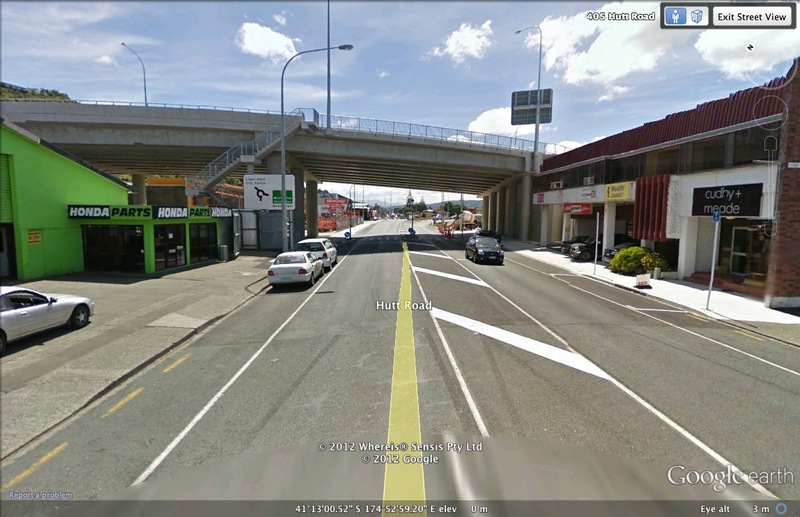 How will it cost ratepayers, given it is fully funded from NZTA as a state highway project? How will it "destroy the Basin as a sporting and cultural venue"? Julie Anne Genter is a bit better on this. She says it is a waste of money because the road has "declining traffic volumes", although this isn't apparent in the severe congestion and of course the Greens typically say new roads generate new traffic, so she can't have it both ways. She says "The vast majority of people coming into Wellington take public transport, cycle or walk", yet this project isn't about people coming into Wellington, but bypassing Wellington primarily between the airport and the Hutt, Porirua and wider region. In fact the travel survey by NZTA (excel file) of travel across the country indicates that 68-69% of trips in the region are by car, with 5-7% by public transport. Greater Wellington Regional Council even says only 17% of commuter trips are by public transport, with it being 21% in Wellington city (excluding the Hutt and Porirua). 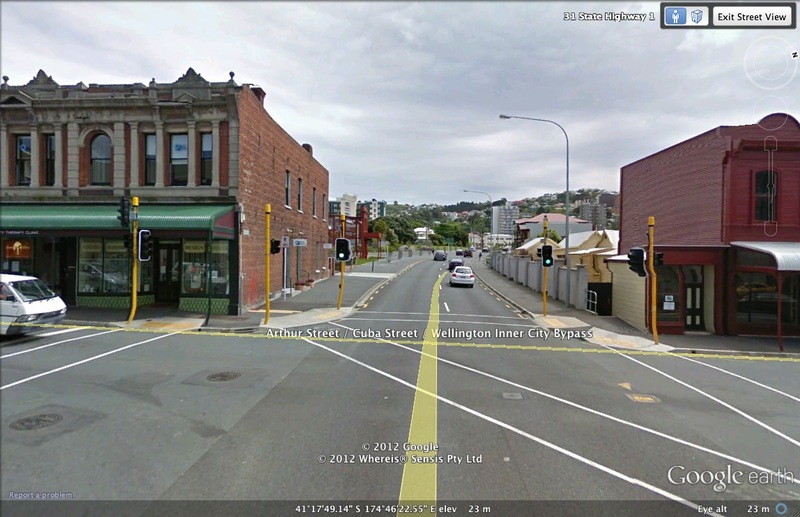 Cars are important in Wellington. Yep, lots of urban decay and crime in those scenes. In fact the only argument she has is economic. It doesn't have a good benefit/cost ratio, with various studies indicating it ranges from below 1 to above 1. The argument can be made that there are better projects. Yet the Green Party's pet project - the underground rail loop in Auckland - doesn't have one either, in fact they argue that the conventional benefit/cost appraisal of the project doesn't take into account all of the criteria important to them. So it's a bit rich to claim a road doesn't stake up on one set of criteria, but that same criteria is inappropriate for a rail project. What is clear is the Greens will oppose road improvements on any sort of cooked up criteria. A flyover may be ugly to some, and it may not be the best use of money spent on roads in Wellington, but it is far from the worst, and unlike the proposals for more rail, it wont need subsidies its entire existence. The actual opposition campaign against the project is at best misguided and naive, at worst beholden to the same hyperbole that besets the Greens. Well, few things blight the streetscape as much as large volumes of traffic circulating around this enormous roundabout. 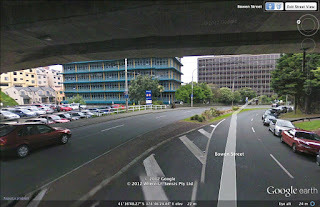 As you can see above, bridges need not blight streetscapes. 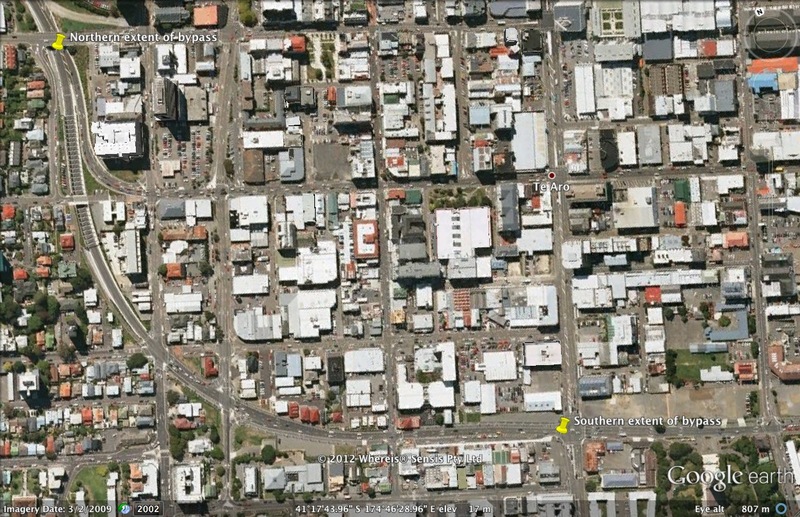 The claim it will "blight" surrounding neighbourhoods is hysterical. After all, the presence of a busy road tunnel since 1931 has had a bigger impact. 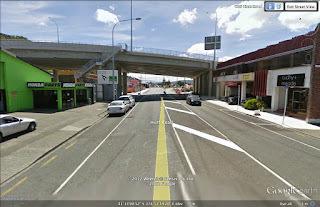 Thorndon has had a motorway blasted through it since the 1970s and is hardly "blighted", neither is Kelburn "blighted" having it running at its base. Oddly, this was never really raised as an issue for the 40 years that there have been serious plans to push a major highway along this alignment. There is no authoritative statement that this is true, just a rant by a reader to a website. So what? The route is congested and the current problems are severe. At peak times, queues from the Basin back up all the way through the Mt Victoria Tunnel, they back up around the Basin from Buckle Street, and create delays for buses. Yes, and nobody is expecting that to happen because the flyover is a one way road towards the tunnel. This basic mistake indicates how very shallow this opposition is. There are good, well-researched alternatives to a flyover. One, Option X, looks even better financially now that a tunnel will built under Memorial Park. Another non-flyover alternative has recently emerged. Except that these alternatives actually don't deliver benefits and Option X creates new problems. The professional assessment (i.e. highway engineers not architects) indicates that Option X has safety issues, would cost more, would have lesser benefits and has significant gaps (e.g. it is depicted as offering no road access to two of the schools at the Basin Reserve). This vote follows other cities throughout the world which have rejected flyovers – Boston, New York, Melbourne, Toronto, Seoul, Boston, Milwaukee, Vancouver, Trenton, Portland, Chattanooga. 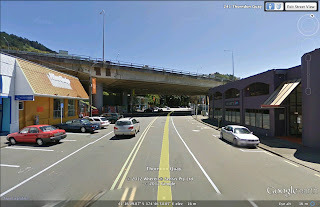 Funnily enough, the claim that the bridge will generate more traffic is now not made, presumably the great fear is that it will work and make a positive difference to traffic, like every other grade separation highway project in Wellington in recent years (underpass of Vivian Street, Dowse Drive Interchange, Newlands Interchange, Mungavin Interchange). A simple claim is made that anytime there is new road capacity provided, it quickly fills up because there are simply thousands of people who would have driven before, but for whom the existing congestion puts them off. The improved road is said to "induce" demand, and so make things worse, because the additional trips (which are presumed to have little real value) simply take the road back to a congested position in the first place. This is known as the Pigou–Knight–Downs paradox, but it is so grotesquely misquoted out of context by politicians (particularly Green ones) that it is worth remembering what the authors actually meant. The situation they talked of was when the road improvement directly reduced congestion for a trip where there was a parallel public transport service offering similar travel times to driving. A perfect example in Wellington would be trips between the Hutt Valley and Wellington city, so that adding another lane to the motorway between Ngauranga and Aotea Quay would directly improve travel times between driving and taking the train. It's a bit more difficult when very few of the trips on the route being improved are undertaken by public transport (or could reasonably be undertaken by public transport), even moreso if the route improvement directly reduces delays on public transport. The Basin Reserve flyover primarily benefits traffic travelling between the airport/eastern suburbs and the wider region to the north and the western suburbs. Whilst there are a few bus services that offer alternatives to some, all focus on passenger starting/finishing trips in the CBD, so are slow for trips that are bypassing it. In other words, the time savings wont result in any mode shift which is the source of the "induced demand" claimed by that theory. Beyond that, it is difficult to envisage that anyone will relocate businesses or homes just because a flyover will knock a minute or so off of traffic queues, certainly not in volumes that will mean it gets filled up with traffic. Furthermore, the secondary benefit of the flyover is to take east-west traffic flow away from the north-south traffic flow at the Basin, which includes some major bus routes. Those bus routes are held up by substantial delays which will be relieved by the flyover, a point almost entirely ignored by the naysayers. For many years both the Greater Wellington Regional Council and Wellington City Council have supported major road improvements on this corridor. Regional Councillor Paul Bruce, a Green Party member and activist against motorised transport (the guy bikes most places) has been central to seeking a review of this, and at Wellington City the Mayor has been. This is the first time this opposition has been realised at the Councils, and shows just how difficult it is to plan major infrastructure when politics swings against it, particularly when there was strong support before. Yet it largely shouldn't be up to them. The project requires no ratepayer money, it isn't on local roads (although it interfaces with them), and it fits clearly into the various strategies that are relevant. It demonstrably improves access across the city, and will deliver huge benefits to public transport users, cyclists and pedestrians (in part because a damned silly cycling/pedestrian bridge has been included in the design). Opposition to it is hysterical, illogical and based on hyperbole or simple nonsense. It is a two lane one-way westbound bridge to connect one tunnel to another. A second Mt Victoria Tunnel can't possibly replicate the benefits of this, and in fact will make the current situation worse. Labour opposes it because it is being pushed under a National Government and Labour wants Green votes in Wellington. The Greens oppose it because it's a road project and it panders to hyperbole about road projects. The Save the Basin lobbyists suggest alternatives that are inferior and unsustainable. The two Councils are pandering to Green activists within their ranks, who offer no rational alternative (exhorbitantly expensive light rail lines that wont do a thing to reduce congestion are just chimeras). If any of those opposed were truly concerned about generating more traffic they would stop improvements to the motorway between Ngauranga and Aotea Quay and demand Transmission Gully be stopped, but the latter is politically popular, so they are largely keeping their heads down on that one. The Basin bridge will improve the environment for all road users, reduce delays and emissions, and is a necessary pre-requisite to building a second Mt. Victoria Tunnel. It should proceed. Whilst the US and other mainstream Western media continue to interview children going to school in Connecticut following the shooting, milking the sadness and showing concern for how they cope with the stress of the appalling crime (which is fair enough), I thought it was time to get some perspective. At the moment in North Korea there are over 150,000 people in gulags. This includes children. It is impossible to know how many are children, but it is likely to be in the low thousands. They are slaves. They get little food. The temperature averages at -10 Celsius, the gulags are unheated. They are awoken at dawn and expected to work every day, doing menial tasks. Those too young to work get beaten, neglected, sexually abused and tortured for sadistic pleasure. They are told every day how useless they are, as sons and daughters of counter-revolutionary traitors, lackeys of Americans and Japanese. So note that whilst the world paid attention to the DPRK's rocket and its now failing satellite, and the propaganda around the first anniversary of Kim Jong Il's death (and placement in a mausoleum), it doesn't ever pay enough attention to the children in the gulags there. Forced to live in prisons high in the mountain valleys, from babies. They receive rations that are starvation level, those who survive do so by eating bugs, mice and other things they can forage or hunt for. Many are physically abused, some sexually abused, when old enough they are forced to work from dawn to late in the evening, every day. It is one step removed from Nazi concentration camps, in that it isn’t gassing used to eliminate them, simply hard work, cold and malnutrition. So this Christmas, whilst you may naturally spare a thought for the parents of the children who were killed in the shooting, and the kids left behind, you'd do worse than to be distressed and angry at the ones in North Korea. Angrier still at the willing idiots in the West who defend it, and angry at the Western politicians who have been too scared to bring this issue up at every appropriate opportunity. As cute and amusing as North Korea is, it really isn't. It's unspeakably vile, and at this time of year that vileness will seen many many children die of malnutrition, hypothermia and torture, because of a state, a philosophy and a system that devalues life and dehumanises in a way that is difficult to exaggerate. So, should I continue this blog? I've not lived in New Zealand for over seven years, and I am unlikely to return in the near future. I follow NZ politics less and less, in part because it shows little sign of any intelligent debate in the mainstream media, and it becomes ever more obsessed with personality and image over substance. I am following what is happening in the UK, and Europe more generally, as well as international affairs. 1. Continue, whimsically, writing about NZ, the UK or whatever, according to what I want to vent about, but being a bit more thoughtful and occasional about what I write. 2. Give up writing about NZ, and concentrate on the UK, with NZ really only being of importance if it is a major change of long term consequence. 3. Split the blog into two, with a new one that focuses on the UK (or NZ). I have a preference for now, which I'd rather not reveal, so I'd appreciate some feedback. I blog partly to vent, partly to try to influence. UPDATE: I have also had the suggestion via email that I shift transport specific posts elsewhere, which I will do regardless. That is a different project, and is about taking a rational approach to transport policy that is evidence based, and is not based on the subjective sociological velvet glove planning approach to the sector. The Auckland Transport Blog exists for those who think cars and trucks are bad, railways are good, and that one sector of the economy works best when a small number of people seek to subvert the preferences of the majority. I don't want to focus on NZ on that, because it is far wider than the current fetish of some for big railways and others for big motorways. If ever there was a reason to close down the Office of the Children's Commissioner, it should be this report on child poverty (pdf). It is the classic socialist/statist treatise on taking more money from some people to spend money on others. Philosophically it takes the view that the people primarily responsible for children are not those who created them or have taken responsibility (typically by default) to care for them, but the state. It's hardly surprising given that the Expert Advisory Group on Solutions to Child Poverty consists almost entirely of those who embrace a philosophical position of statism. Child Poverty is costly: The counterfactual that children who are well fed, housed, taught and loved tend to thrive is true, but to claim that you can monetise "costs" that are born by society presumes that they are to be born by everyone. Yes having children you cannot afford to feed, house or clothe restricts their likely opportunities and ability to thrive, but that isn't the fault of everyone else - it is the fault of the father and mother for breeding without thinking of the consequences. The report claims that it "should not be tolerated". Who by? Is everyone who raises children in adequate conditions or does not raise children have to be obliged to bear the costs of those who do not take reasonable steps to prevent raising a child in poverty? The claim is that child poverty affects the "nation's long-term prosperity", but all that really means is a presumption that government will tax everyone else's prosperity to pay for those who go on welfare because they have few saleable skills, those who commit crimes because they want the property of others or are angry at others, or who breed without concern for the consequences. Maintaining that presumption denies the fundamental cultural shift needed to promote responsibility for the consequences of ones own actions. That isn't promoted by the welfare state or the idea that all children are the responsibility of all adult. They are not. Child poverty can be reduced: Yes, demonstrably, it has been happening for centuries. It has been achieved through economic growth, and the growing amount of time that parents can dedicate to raising children. That is not encouraged by a growing state demanding ever more taxes, restricting the supply of land for housing and so increasing the cost of living and the amount of work people must undertake to achieve their desired standard of living. The main motivator for reducing child poverty has been parents who have strived hard to give their children a life better than their own. Mine did that, countless others did, and they didn't do it because the state told them to do so, or handed them a cheque. They did so because they were responsible and human. Specific recommendations: The overwhelming thrust of these measures is to treat children as a national asset that needs a national solution. It wants universal benefits for children up to a certain aid, making all children rich or poor a source of income taken from taxpayers. It wants taxpayer funded universal healthcare for children up to age 17. It wants the state to build more houses. It wants legislation to bind a Minister to targets that are primarily about what families, mothers, fathers and children do on the ground. It is absurd and ridiculous to use law - an instrument which typically defines rights, mandates actions or prohibits them, to be necessary to hold a politician to what is a politically set policy goal. It undermines democracy and clogs up the legal system with a law that is not fit for purpose. It seeks to make every additional child worth the same amount of additional welfare from the state, promoting breeding for cash, a phenomenon that has hardly been a great success. Why is it good for children for their parents to get more money from the state because they breed more? It wants welfare benefits to grow according to GDP, in effect meaning welfare always looks like a reasonable option regardless of actual poverty levels. It wants the state to lend money at favourable terms to people in poverty seeking to get back into work, presumably because it doesn't think the public would support such a charity. It wants a massive state intervention in housing to regulate rental housing, build more homes, but also subsidise low income people's mortgages. The words "sub-prime" should come to mind, but then when middle income people struggle to save for deposits in Auckland and Wellington facing higher taxes to subsidise poor people in Timaru and Kaitaia buying houses, there might be some concern over equity. Special money for Maori households to buy homes, because they are ethnically predisposed to not earn as much money as everyone else. Nothing quite so readily breeds resentment as a pair of low income families and one getting special help because of who their ancestors were. That's the nationalistic race based policy thinking, based on neo-Marxist structuralist theory (which means all Maori are disadvantaged and powerless, so the state must take from non-Maori to benefit Maori and "even the outcomes"), which simply does not reflect reality or responsibility. The reason more Maori are in poverty is overwhelmingly because they disproportionately make the wrong decisions in life, devaluing education, valuing whim, devaluing entrepreneurship and individual innovation, valuing "being one of the group" and valuing "not thinking you're better than the rest of us". Giving them more money wont fix that. Of course, this is a report that wants you to pay for "the development of Mäori-centric data that acknowledge and capture Mäori concepts of poverty and wealth". Don't go there. We recommend that the government investigate and implement a public-private--partnership micro-financing model with the banking sector and community groups, with the aim of providing modest low-interest and zero-interest loans, as a mechanism to help low-income families access affordable credit and effectively manage debt. How about promoting saving as a way of getting enough money to buy consumer goods and services, rather than tax everyone so that the least able can borrow more? It wants a "child nutrition strategy" without saying what that really means, I think Sue Kedgley would love it, but those who want to promote personal responsibility will not. It wants support for children with parents in prison to be increased, which isn't entirely silly, but doesn't for a moment suggest that the criminal justice system be reviewed to eliminate victimless crimes, such as drug laws, to reduce the rate of incarceration of parents who are relatively low risk offenders, nor does it blame parents when they have committed real crimes. There are some worthy recommendations in this report, but it should be up to those who embrace it to raise the money themselves, voluntarily, and implement the measures, for only then will they have the incentives to get it right, to avoid people claiming inappropriately and have the moral authority to provide support given by those who want to support those less fortunate, rather than forcing people to do so. However, the report's number one failing is its blatant disregard for the breakdown of family structures as being one of the key sources of poverty and abuse among children. That has been sustained by the growth of the welfare state, and a cultural norm of responsibility for children not being primarily with parents but "society". It is seen in the use of language that nationalises children, that treats all children in the country as being the responsibility of everyone else, but actually means that net taxpayers bear the cost and burden of raising the children of net beneficiaries. It means that there are taxpayers who are earning money not only to raise their own children, but another parallel family. The answer to child poverty is twofold. One is economic growth, with more wealth, employment, opportunities for starting up business, to save money without it being devalued through inflation and to provide the legal and monetary environment to allow people to succeed. The second is individual. If you don't want children in poverty, don't have them when you are poor - contraception is cheap, and not difficult to obtain. If you don't want other people's children to be in poverty, cough up, help out, give some of your own money, spend time with charities, use your imagination with other like minded people. Do something directly. One thing that wont help is this report, or the functionally inert Child Poverty Action Group - which has as its sole purpose, actually doing nothing substantive for child poverty, simply producing reports which demand the government take more money from taxpayers to pay the parents of children in poverty, because they are poor. The philosophy behind this report has failed, it has been tried in one way or another for the last 40 years, to go this far would bankrupt the economy and chase enterpreneurial or aspirational people from New Zealand to elsewhere, further reducing the ability of the economy to catch up with the rest of the developed world. However, the Greens will love it, because it buys into their "your child is everyone's child" nationalisation of children philosophy, and their admiration for a huge welfare state. Now go to southern Europe to see what a roaring success that approach is proving to be. Oh and New Zealand has had this sort of hand wringing, fiscally extravagant approach to social policy presented before. The Royal Commission on Social Policy reported in 1988 wanting benefits and taxpayers' money for just about any group or individual identified as not having a "fair go". The Lange Government to its credit ignored Rosslyn Noonan's post-modernist structuralist treatise on recreating a grand social welfare state, and it was called the most expensive door stop in history. This report is shorter, and cheaper in real terms, but should have the same fate. That's the name of the documentary on BBC Four I am watching right now, and it is damning of how aid during humanitarian crises can be more harmful than good. - Cambodian civil war/ post Khmer Rouge famine: Hoards of people were seen starving and dying at the border with Thailand, it was thought it was due to mass famine in Cambodia. Investigations by a couple of officials on the ground in Cambodia saw no evidence of famine (this was in the year after the Khmer Rouge regime had fallen), but this was suppressed by Oxfam and others who feared that such a picture would hamper efforts to raise money. As the UN was not operating aid programmes (because of Western vetoes against official support for a country under a regime that was said to be an occupation force from Vietnam), NGO aid agencies saw this as a chance to establish themselves, on the basis of a lie. - Ethiopian famines of the 80s/Live Aid: The natural disaster was exaggerated, and the efforts of Geldof, Band Aid and Live Aid saw vast amounts of aid being taken by the Marxist-Leninist Ethiopian regime to support its war against Eritrean secessionists. The regime purposefully denied aid to regions to ensure the images of famine would reach the West. Live Aid was going on as the Ethiopian government was forcibly kicking thousands off of their land out of their homes to politically "cleanse" areas to support its Maoist campaign for a new communist society. That provoked famine by destroying the agricultural sector. In effect Live Aid and Band Aid prolonged the Ethiopian government's ruinous, murderous policies because of political naivete and blindness. Medicins sans Frontieres abandoned Ethiopia early on because it did not want its aid supporting the government. Oxfam and others thought that "working with" the government that caused the problem in the first place. - Somalia: Aid was confiscated by warlord factions who used it to support their own fighters and to sell on the black market. Somalia's situation was exaggerated, famine was dying down as agriculture recovered. The famine was over by the time the relief campaign peaked. Military intervention failed miserably, was badly targeted, and after a short period of stopping warlords from confiscating aid, the Western military had to flee, after it killed demonstrators in Mogadishu, before leaving Somalia to civil war and next to no humanitarian presence. - Rwanda: The Rwandan genocide ended because the Hutu "tribe" were defeated by the Tutsi, Hutu fled in large numbers. Cholera epidemic appeared in Goma (DRC). Aid came to Goma in substantial numbers, but Rwanda got little. The Goma refugees included thousands of those Hutu militia who had embarked on the genocide, and they started using the aid to help rebuild and regroup. Hutu militia effectively ran a mafia ring in the refugee camps, taking percentages of food aid, stockpiling it, training military, bullying and recruiting soldiers, even renting vehicles and equipment to aid providers. The newly resurgent Hutu militia were effectively rebuilt by aid. MSF, again to its credit, left, refusing to support the militia. The Hutu militia would attack Rwanda periodically, until the Rwandan army had had enough, and invaded and destroyed them. It was sick of the genocidal militia that had slaughtered hundreds of thousands being supported across the border and continuing attacks. Aid had effectively supported one side in the Rwandan civil war. - Kosovo: NATO built refugee camps on the Kosovo/Macedonian border, a key part of the exercise being to demonstrate military capability in being humanitarian. Aid was looking more like middle class consumer goods to people who were not starving, beyond providing tents and sanitation. Aid agencies worked with NATO on the ground, and were now perceived by Serbia as being partisan. - Afghanistan: Afghan government demanded all aid agencies sign onto its policy of supporting the regime. The Taliban treated them as targets, so all aid agencies ended up being behind militarily guarded bunkers. NGOs started being seen as sources of cash and resources for the government. It became impossible to work outside areas controlled by the government, but also made it impossible to operate without being a target for the Taliban. One statement was that 95% of women and children in that situation survive without intervention, so it is simply arrogant and deceptive to claim that aid is the difference between life and death. In short, aid can cause more harm than good. It would be nice if the British government, which perversely has become obsessed with following the UN target of foreign aid (funded by taxpayers) of 0.7% of GDP, would think again. After the Leveson report, Ed Miliband and leader of the Liberal Democrats, Nick Clegg, were only too quick to agree with the entire report including the recommendation of press self-regulation, which included legal sanctions for newspapers that did not wish to participate. The subtlety of the position of the Prime Minister and the Conservative Party, to support all of the recommendations, except enshrining industry self governance in legislation (which would have meant licensing newspapers), was lost in the tirade of victim worshipping, venom about Rupert Murdoch and utterly false hyperboles about the "power" of that one newspaper proprietor. Hugh Grant for one continues to make an utter fool of himself with his ranting Marxist hysteria that media barons run the country, of course he says this on the state owned taxpayer funded BBC that owns and operates more TV and radio stations than any other broadcaster. While those like myself who think that the state should not licence those who wish to print newspapers or magazine get smeared by the likes of him, and the unfortunate victims of illegal behaviour by some journalists, the Director of human rights organisation "Liberty", Shami Chakrabarti, has been reported in the Mail on Sunday as saying that that one dimension of Leveson would be contrary to UK law, which is the British implementation of the European Convention on Human Rights. Bear in mind Liberty is not libertarian, but rather a liberal leftwing "civil" liberties group, highly regarded by leftwing intellectuals and politicians, and the European Convention on Human Rights is warmly embraced by the Liberal Democrats (and excoriated by conservatives). - The so-called "Hacked Off" group of celebrities doesn't really know what it is talking about "There has been a great deal of ill-informed debate, with people bandying about terms such as “statutory underpinning” with little grasp of what this would mean". Indeed, the sheer contradiction between saying that a system created by politicians, overseen by a body appointed by politicians is "truly" independent, eludes them, because they are actors, authors and singers. Not lawyers, not policy wonks, not philosophers. - "The Leveson Report recommends a robust independent self-regulation of the press of a kind that has not been provided or suggested by the industry up to now....It must set and promote ethical standards, handle complaints and crucially offer a swift and cheap alternative to court action for members of the public whose rights (e.g. privacy and reputation) have been violated. No statute is needed to create such a body and editors and proprietors should take the Leveson characteristics and seek to build one without delay"
- "Leveson does not recommend compulsory statutory regulation of the press and Liberty believes that he is right not to do so. However, he moots the very difficult question of what would happen if all or significant portions of the press failed to rise to the challenge of his Report and create and support a sufficiently robust and independent body. He reflects on (without recommending) the possibility that parliament and the public might feel the need to impose some level of compulsory statutory regulation on outlets that refused to play their part. It is this alternative that Liberty cannot support and which would in our view, breach Article 10 of the ECHR and Human Rights Act. As this last-ditch alternative is not even a recommendation of the Report, it is misleading to suggest that Liberty or its director is in any way dropping a "bombshell" on the Lord Justice's Report, not least as this position was clearly footnoted in it." Behaviour that is illegal has been disgraceful, but when the law hasn't been followed or enforced then the answer is not to create another law. Just because someone hates a particular newspaper proprietor does not mean it is right that the newspapers, which say things they don't like, should be subject to state control or regulation. Defending free speech means defending the right of those you despise, whose views you find reprehensible, to express themselves. It means books, photos, songs, movies, newspapers and tweets you find offensive are not to be banned just because you find them offensive.